Don’t let potential leads trickle in and out of your next open house. Show them a positive experience, then direct them to your brand new Open House Sign-In Forms to capture their contact info. There’s something to be said about stumbling out of bed on a Sunday and suiting up to meet tens of potential buyers. We know it’s not easy, and to commend you for your efforts we’d like to offer you something that will hopefully ease the “open house blues” a bit! 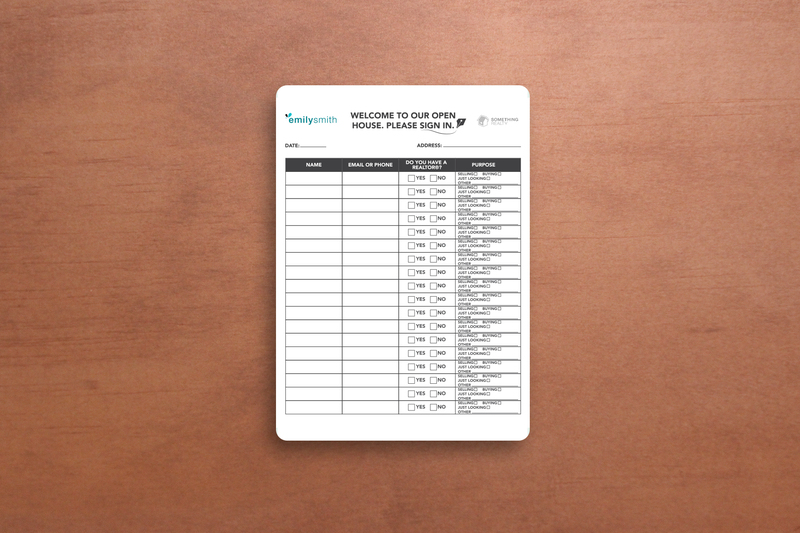 Here is a free, printable open house sign-in form, made by our Ninja designers, that you can customize with your own branding. All you’ll need to do is open up your favourite image-editing software (I’m looking at you, getpaint.net or picmonkey.com) and overlay your own logo and brokerage logo over our placeholders. Clients will be pushing and shoving to write their names and contact information down! But please stop them because that’s no way to behave at an open house. In order to receive your free open house sign-in form design, simply subscribe to The Dojo mailing list using the form below. Your files will automatically be sent to your inbox upon confirmation! If you are not familiar with graphic design tools such as Adobe Illustrator or Photoshop, please contact a graphic designer to customize these files for you.